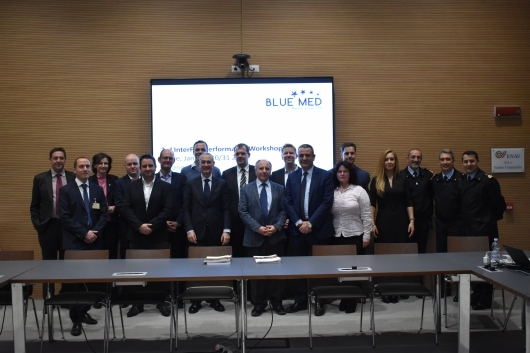 On January 30-31, 2019, the BLUE MED FAB hosted the 3rd InterFAB Performance Workshop at the ENAV premises in Roma Ciampino. 18 people from 6 FABs (BALTIC FAB, BLUE MED, DANUBE, DK-SW, FAB CE, FABEC) met to discuss complex topics such as – among many others – ATM efficiency, the process of reviewing Performance Plans and to see how FABs are approaching RP3. Moreover, the performance experts attending the 2-day meeting once again highlighted the importance of the subject of fragmentation affecting ATM performance within the aviation chain (a dedicated Research Workshop on this topic will be held in Budapest in May).